Sunday Shelfie - Christmas Eve Books - Bash & Co.
‘Twas the night before Christmas, when all through the house….Bash was excitedly running laps waaaay past his ever increasingly later bedtime, Mom was still baking cookies for “Santa’s” midnight snack, and Nick was sent out to buy more wrapping paper. 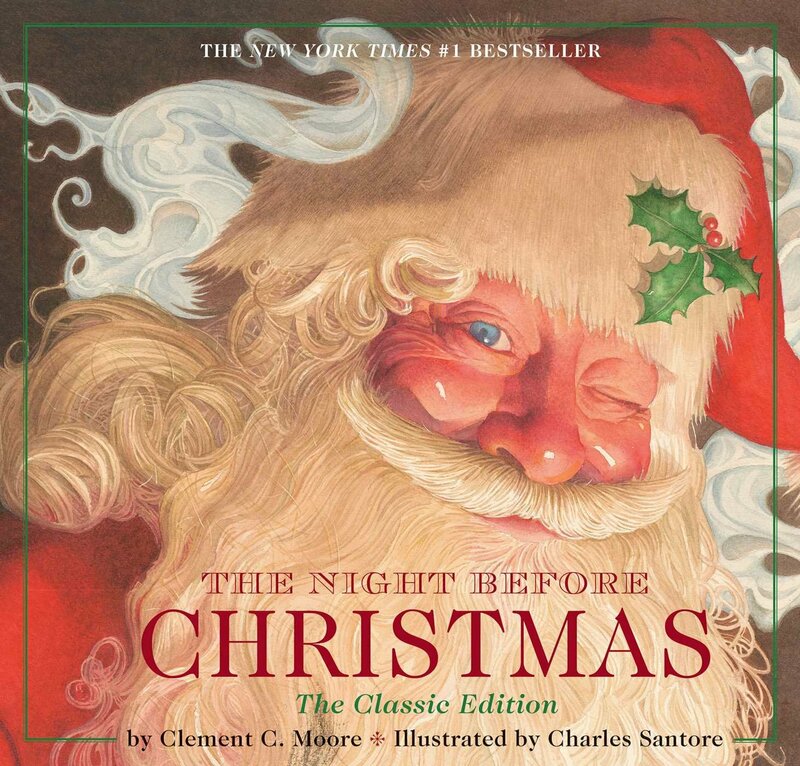 While my household will more likely be eating the sugar plums rather than dreaming of them, we will be taking a brief respite from the “holidaze” to read The Night Before Christmas (Charles Santore and Jan Brett) and Pick a Pine Tree before (finally) drifting off into sweet (but likely interrupted) slumber! 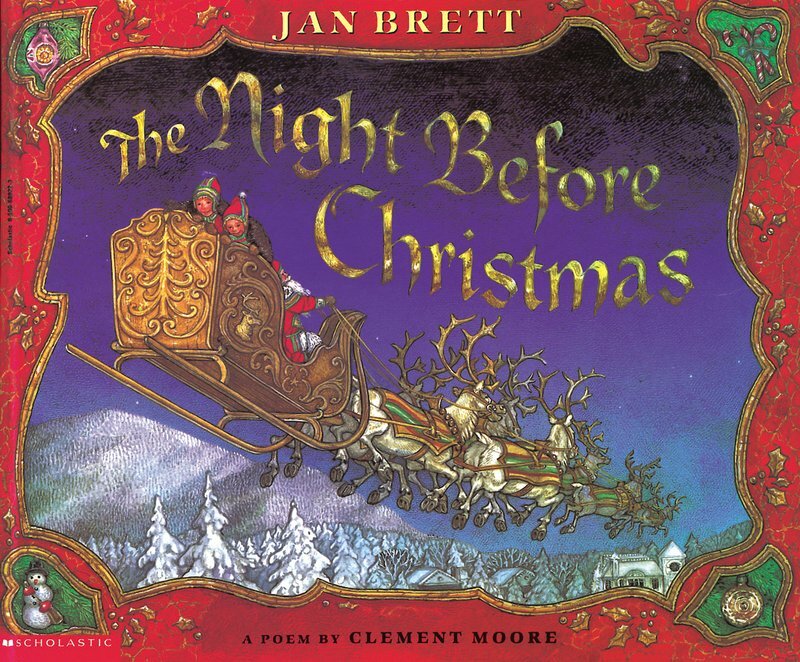 We love reading this classic, The Night Before Christmas (Charles Santore and Jan Brett), tale on Christmas Eve. Nick actually bought one version as a stocking stuffer for Bash when he was still in utero, anticipating building a Christmas Eve family tradition. The other version came from Bash’s godmothers last year…great minds certainly think alike! We love reading both versions and find something new to discover in each. While the story remains the same, the major difference is the illustrations and cadence. The Santore illustrated version is “longer” with illustrations for each stanza and the illustrations are more classic in nature, with a darker, more mysterious undertone. The Brett illustrated version has more text per page with matching colorful and very detailed illustrations. Its pages are structured similar to a traditional fairy tale style book with a lot to look at for the wandering eye on each page. Either (or both) would make great additions to your child’s library and instill new Christmas Eve traditions. 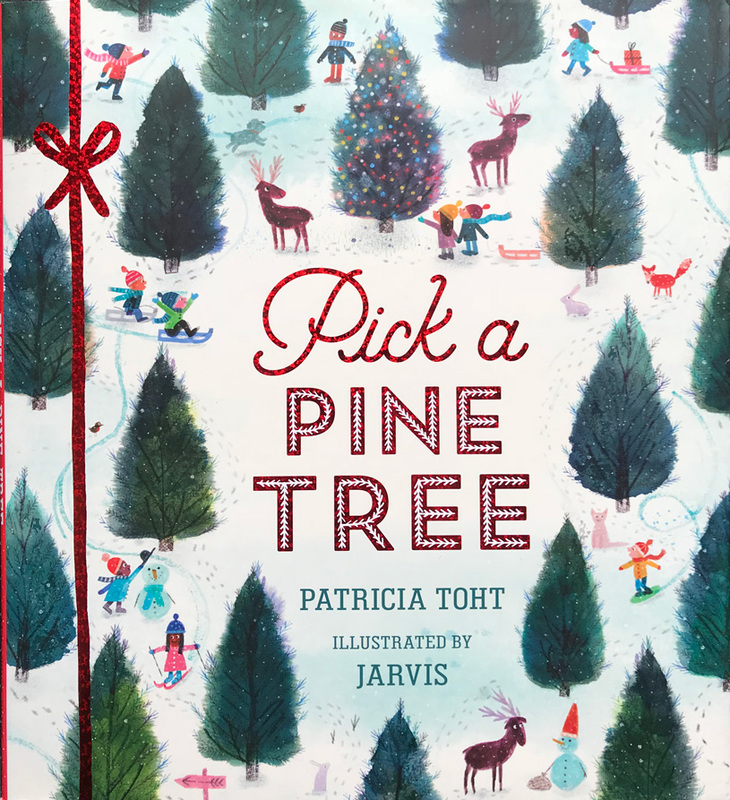 I’ve been waiting for Pick a Pine Tree to finally come back in stock and just found the last copy at Books of Wonder (if you are in NYC, check out their super cute shops downtown and on the UWS – fun fact: The Shop Around the Corner from “You’ve Got Mail” was inspired by this children’s bookstore). 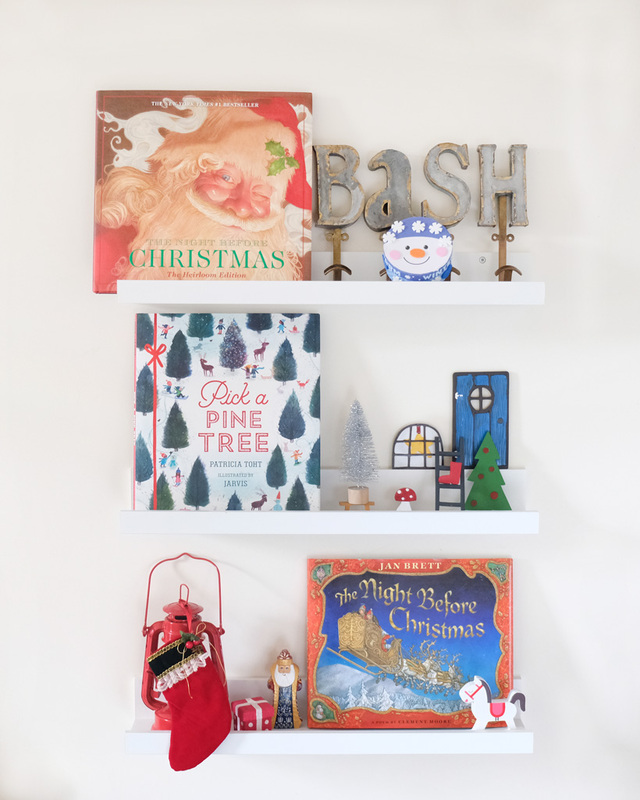 This book was released this past fall and would be the perfect early December read to prepare children for the joyous traditions of decorating the Christmas Tree. 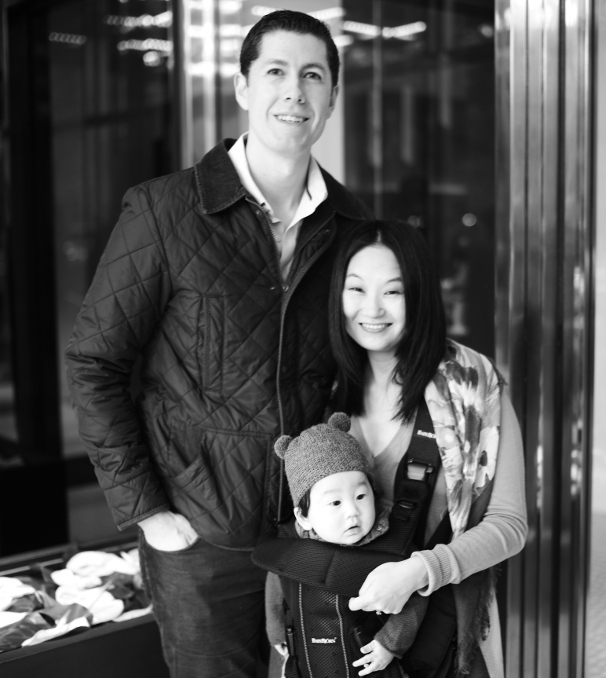 We love how Patricia Toht captures the magic of the holiday season and Bash enjoys the cute rhymes as we follow a family’s traditional tree decoration rituals. 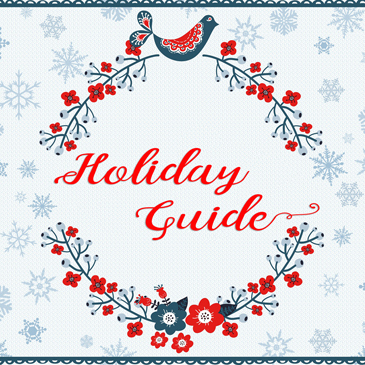 We are also partial to the cheerful, vintage-style, yet detailed illustrations depicting the holiday traditions and bringing back the nostalgia. Merry Christmas to All, and to All a Good Night! Happy reading!